Scroll down for the newest listings of homes for sale in 78247. Use the Advanced Search feature to search all listings in this zip code. Contact the Exclusive Buyer Agents at The Totin Group, Keller Williams Legacy at (210) 872-8888 to see real estate for sale in the 78247 zip code in San Antonio, Texas. Homes for sale in 78247 are located inside the city limits of San Antonio, Texas. Popular neighborhoods and gated communities in this middle-class suburban zip code in north San Antonio include Burning Wood, Eden, Eden Rock, Emerald Pointe, Fox Run, Green Spring Valley, Hidden Oaks, Hunters Mill, Knoll Creek, Longs Creek, Oak Ridge Village, Oakview Heights, Redland Oaks, Redland Springs, Spring Creek Forest, and Steubing Ranch. The median home value is nearly $150,000, and the population of this area is over 52,000. Only your own Exclusive Buyer Agent can ensure that you get the best possible price and terms in a real estate transaction, because the listing agent usually works exclusively for the seller. Did you know that your Exclusive Buyer Agent at The Totin Group can help you find the home of your dreams at no out-of-pocket cost to you? Typically, the seller pays our fee. So you get expert representation and peace of mind, knowing you have an experienced real estate professional to guide you through the home-buying process. Call (210) 872-8888 for details. 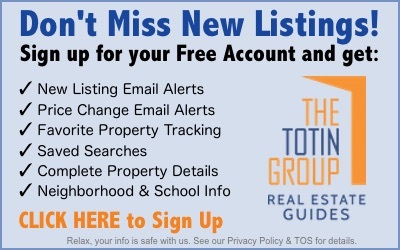 The 10 newest listings of homes for sale in 78247 are shown below. Use the Advanced Search feature to search for all listings in this San Antonio zip code.